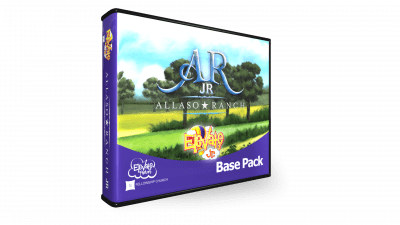 There's something for everyone ages 6-12 at Allaso Ranch! Whether you like hiking, swimming, paintball, riding down zip lines, or riding horses, this camp is where you want to be. Pack your suitcase, and don't forget your pillow, because at Allaso Ranch we're getting away and getting to know God. 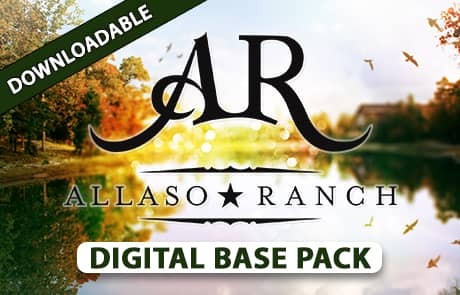 Want to experience the real Allaso Ranch? Check out Fellowship Church's camp and retreat center in East Texas! For this series, the Perform It Live Teaching Format includes performing the Bible Lesson and Skit live. Digital Base Pack version requires MediaShout® 4 or or ProPresenter® 5 and up. Learn More about this series on our blog. The children will learn that God loves us and that Salvation is the one and only way to God. God Is Love, So I Know That God Loves Me! The children will learn that God guides His people, and we will follow Him more closely when we are alongside other believers. God Is Our Guide, So We Should Follow Him Together! The children will learn that God is creative and He designed us to be creative as well. God Is Creative, So I Can Be Creative! The children will learn that God provides for our needs, so we should always be grateful. God Is Our Provider, So We Should Be Grateful! The children will learn to obey God and those He puts in authority over us. God Is Our Authority, So I Will Obey! The children will learn that God is worthy of our worship. God Is Awesome, So I Will Worship Him! The children will learn the importance of spending time with God each day. The children will learn that we should put into practice the things God teaches us. God Is The Great Teacher, So I Will Use What I Have Learned!